Get to know our incredible and passionate Lower School Principal of nine years! The short answer is Hawaii. The extended answer is my parents were born and raised in Hawaii. I was born in Okinawa due to my dad’s military service. 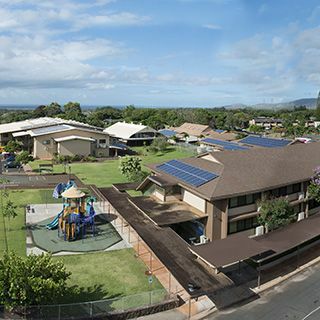 We were stationed throughout the U.S and abroad, then settled back in Hawaii by the time I was seven years old. Q. Where was your first position in education? After I was married, my first position was working as an educational assistant in a public elementary school computer lab. The veteran teacher that I worked with gave me insight into the excitement of teaching children. Q. What experience do you have in administration? 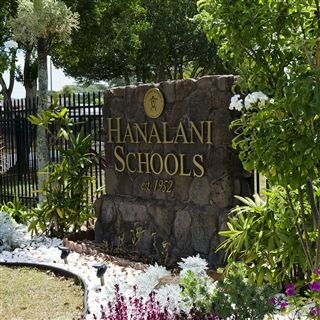 This is my ninth year as an administrator at Hanalani Schools. My experience as a classroom teacher, specialist, and Vice Principal, paved the way for me to be able to lead the Lower School. Q. What is your background in teaching? 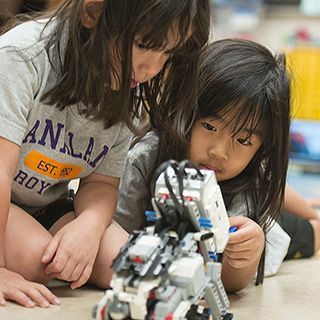 Besides being an educational assistant in a computer lab, I have been a classroom teacher for fourth and fifth grades for several years in California and in Hawaii. I also served as a Reading Specialist for three years. Q. What are you most looking forward to/excited for? Working with a team of exuberant, diligent educators to continually meet the needs of students in our rapidly changing world. Q. What 3 words do people often use to describe you? The Lower School leadership team recently did an activity in which we wrote descriptive words for each other. Taking three repeated words from that activity, I would say, “Organized, Encourager, Passionate”. Leading a child to Christ! Q. What was the biggest motivation you had in taking this position? It was clearly God’s will for me to take the next step in leadership. I was also excited about the potential to impact more students by working more with teachers. Q. 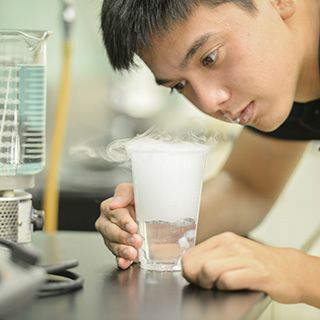 What is your favorite thing about your career/education? Working with faculty and staff for the benefit of children. As principal I have the opportunity to develop relationships with students across grade levels totaling hundreds of students in any given year. I love it when the opportunity arises and God's timing occurs for me to lead a child to Christ. I like to tell this story because it is about God’s working in my life. I did not want to be in education. I thought I would be an architect, but God directed my path and I am thrilled to impact the lives of faculty, staff, parents, and children on a daily basis in a school setting. Q. What are some goals you have for this school year? 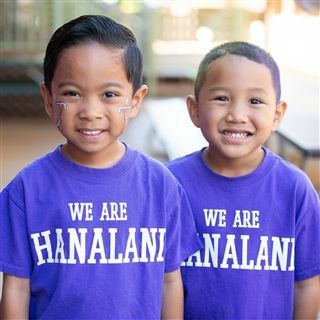 We expect our Hanalani School community - students, teachers and all staff - to love and exercise continuous learning and growth. Although I've learned a tremendous amount during my 8 years serving as an administrator, this year I am working on starting a new educational leadership program to broaden my leadership experiences and perspectives. I would love to deepen my understanding of innovation and PBL, so the students can have richer experiences in these areas. Q. What is your favorite thing about working with students? My favorite thing is what initially drew me into teaching...the spark in a student’s eye when you have been able to make a connection with them, and they get it! Q. Name a challenge you have overcome. When I look back at the time God has had me in education, I consider one of the greatest challenges to be trusting God to supply everything I need to accomplish what He intends for me to do. That seems like a generic answer, but it is very real to me. When the list of things to tackle for church, home, and work is extensive, then I can get quickly overwhelmed because I want to do it all at an excellent level. The challenge has been and still is about trusting God. Q. Fun fact about yourself. Several years ago I entered a mini-triathlon in California. The first leg was swimming across a murky lake. Next was the bicycle segment in which all kinds of people passed me. One fellow even said, “Your seat’s too low!”, but I kept riding. When I finally got to the running portion, I started passing people that passed me in the bike segment. All that to say, I finished the race and have never done a triathlon again, but it was a memorable learning experience! Q. Best piece of advice you could give. “Whatever your hand finds to do, do it with all your might!” If you’re going to do something, do it with all the ability and strength God gives you. “Pray without ceasing.” When you are constantly in a prayerful mindset, you cannot help but have God’s perspective of every situation.